The spread of deadly superbug infections that kill millions of people around the world could be halted at a cost of just $2 (€1.75) per person per year. The claim comes in a report from the Organisation for Economic Cooperation and Development. The group says superbugs could kill around 2.4 million people in Europe, North America and Australia over the next 30 years unless something is done. Infectious bugs becoming drug resistant has been a problem since the discovery of penicillin, the first antibiotic, but it has become worse in recent years as some bugs have become resistant to multiple drugs. 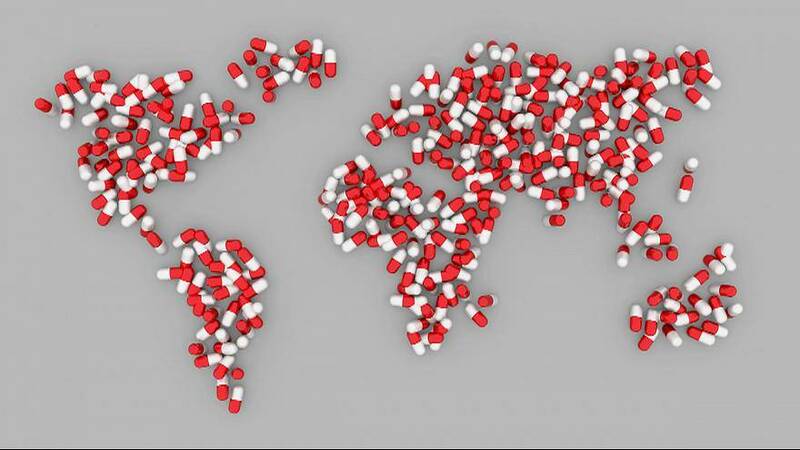 The OECD describes drug resistance as one of the biggest threats to modern medicine. That claim is backed up by the World Health Organisation, which says that unless something is done a post-antibiotic era could arrive this century whereby basic healthcare could become life-threatening due to the risk of infection during recent operations. The report found that the problem appears to be worse in low- to middle-income countries. In Brazil, Indonesia and Russia, for example, between 40% and 60% of infections are already drug resistant, compared to an OECD average of 17%. The OECD says short-term investment would stem the rise of superbugs and would save lives and money. The report proposes promoting better hygiene, ending over-prescription of antibiotics, rapidly testing patients to ensure they receive the right drugs, delaying antibiotic prescriptions and educating people through mass media campaigns. Tim Jinks, a drug-resistance expert at the Wellcome Trust global health charity, said the OECD report showed "how simple, cost-effective surveillance, prevention and control methods could save lives". Superbugs are "a fundamental threat to global health and development," he said, and "investing to tackle the problem now will save lives and deliver big pay-offs in the future."